Hardcover, 9.75 x 11 in. / 144 pgs / 124 color. Motherwell’s papier collé works are the genesis of his style. Text by Susan Davidson, Megan Fontanella, Brandon Taylor, Jeffrey Warda. Robert Motherwell: Early Collages, published to accompany an exhibition devoted exclusively to Motherwell’s works on paper from the 1940s and early 1950s, reexamines the origins of the artist’s style and his revelatory encounter with the papier collé technique that he described in 1944 as “the greatest of our discoveries.” Motherwell’s enthusiasm for and dedication to the collage medium for the remainder of his career sets him apart from other artists of his generation and extended beyond the mere physical presence of pasted cut-and-torn papers. 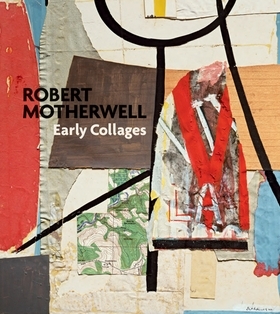 Featuring approximately 60 works and four essays that delve into artists’ engagements with collage in the first half of the twentieth century, Motherwell’s early career with patron Peggy Guggenheim, underlying humanitarian themes during World War II and the artist’s materials, Early Collages provides a vital reassessment of Motherwell’s work in the collage medium. Robert Motherwell (1915–1991) studied painting at the California School of Fine Arts in San Francisco, at Stanford, Harvard and Columbia. His first solo show was presented at the Raymond Duncan Gallery in Paris in 1939. In 1941, Motherwell traveled to Mexico with Roberto Matta. After returning to New York, his circle came to include William Baziotes, Willem de Kooning, Hans Hofmann and Jackson Pollock. 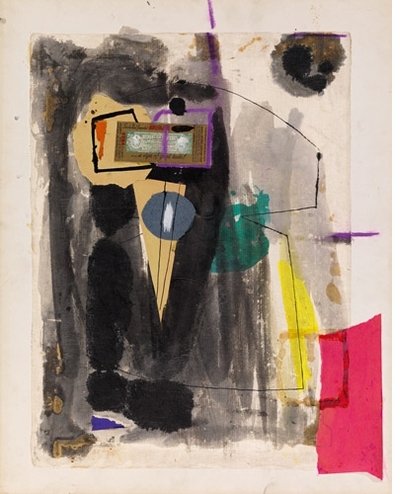 In 1944, Motherwell became editor of the Documents of Modern Art series of books, and participated in Fourteen Americans at The Museum of Modern Art in New York in 1946. The artist subsequently taught and lectured throughout the United States. A retrospective of his works organized by the Albright-Knox Art Gallery, Buffalo, New York, traveled throughout the United States from 1983 to 1985. 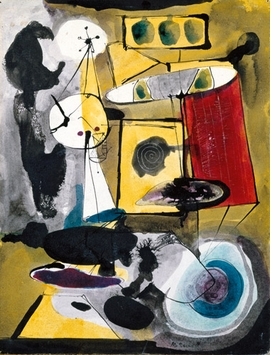 Featured image is reproduced from Robert Motherwell: Early Collages. Four writers examine Motherwell's fervent advocacy of collage as "the greatest of our discoveries", with illustrations of some 60 of the artist's works from the 1940s and early '50s. Although somewhat younger (and Waspier) than the Abstract Expressionists he assiocate with, Robert Motherwell was a noted figure of the New York School (a term that he, in fact, coined). The collages he created throughout his career were particularly, beautiful and elegant [...]. This admirable catalogue is essential for understanding Motherwell's output, a testament to his achievements and a great pleasure to consult or even just browse. FORMAT: Hbk, 9.75 x 11 in. / 144 pgs / 124 color.